You’ve seen the flood of emails regarding new privacy statements? GDPR is the cause of this, even from American companies. Did you see that some major websites have disabled access in Europe, including the LA Times, Chicago Tribune and History.com? GDPR is the cause of this too. If you’re on this side of the Atlantic, there is no reason for you to know much about GDPR because it is a new European law that is causing great upheaval on the far side of the Atlantic; but we prepared for this and our U.S. clients directly benefit from our work to comply with this new law. GDPR (”General Data Protection Regulation”) is Europe’s very stringent response to how and where so much personal data is collected about all of us every day. For many businesses, it is painful to comply with, and some businesses will even close because of this. The great benefit of GDPR for European citizens is true control over the exact personal information each company gathers and holds about them. The great benefit to companies complying with GDPR is that it creates additional trust between them and their customers. Companies that capture and hold personal data of European citizens now have to clearly ask and get a specific “yes” before doing so – not in small print or deceptively, but clearly and outright. This includes both active data capture (like joining a mailing list or purchasing something) and passive data capture (like your search preferences or location data). Whether responding to an event invitation or applying for event accreditation, providing personal information is based on trust that the information will be kept secure, will not be used or shared inappropriately, and will be deleted when no longer needed. 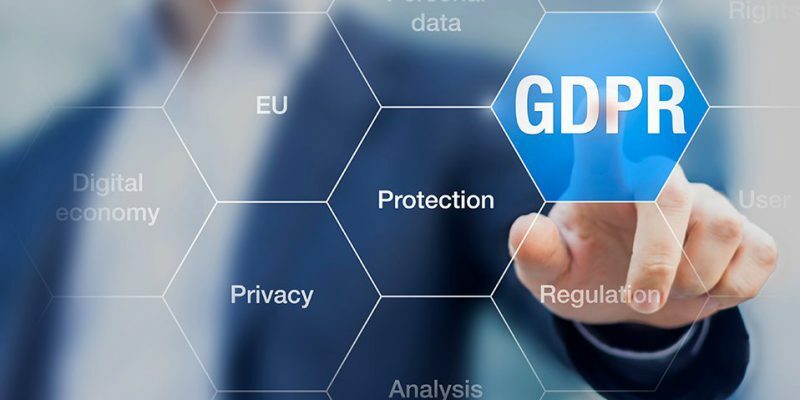 Our rigorous work to comply with GDPR’s requirements enhances our security and solidifies the trust end users place in you, whether European or U.S.-based.